The final season of the legendary Mike Martin’s career is just right around the corner. 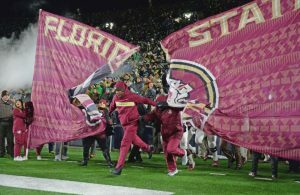 Despite extending the streak of 40-win seasons to 41 years and winning the ACC for a third time in four seasons, Florida State’s 2018 baseball campaign ended on a sour note as the Seminoles were “two and a barbecue” in their host regional. Reese Albert came on late as a freshman in 2018, hitting .268 with seven home runs and 34 RBIs. The most notable moment of Albert’s freshman campaign was a 3-run walk-off homer against NC State. Albert could stand to be more patient at the plate as a sophomore. Given that the Seminoles will have to replace the likes of Jackson Lueck, Cal Raleigh and Rhett Aplin, Albert will be expected to be one of the power bats in the middle of the lineup. Injuries and extended slumps have kept junior outfielder J.C. Flowers from reaching his potential. As a sophomore in 2018, Flowers hit just .218 in 36 games. Flowers has the potential to be a 5-tool player with his speed, cannon for an arm and strength, but to this point, he just hasn’t put it all together. There’s a chance that Flowers could also see some time on the mound this coming season. Now a sophomore, pitcher Conor Grady could blossom into a real weapon for FSU late in games. Grady has closer-type stuff and when he’s on, he can be virtually unhittable. The biggest problem for Grady last season were mistake pitches that were taken deep. Grady allowed four home runs in 29 innings last season while posting a 4.34 ERA. The only non-starter to give up more home runs was Clayton Kwiatkowski. 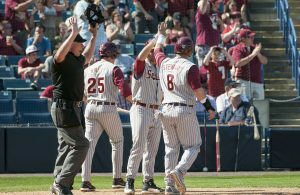 After starting last season as the Sunday starter for Florida State, that is a role that sophomore left-hander Austin Pollock could see again behind Drew Parrish and C.J. Van Eyk in the rotation. Pollock allowed the second-most walks on the team last season and allowed opposing hitters to bat .282 against him. The key for Pollock will be getting ahead in counts. If he can do that and avoid the big inning, he should be an effective arm at the back end of the rotation. Now a senior, Mike Salvatore has the potential to be a valuable piece at the top of the lineup or an important contact hitter who can move runners over. Salvatore hit just .244 last season and posted a .333 on-base percentage. Salvatore is a good contact hitter and led the team with eight steals last year. 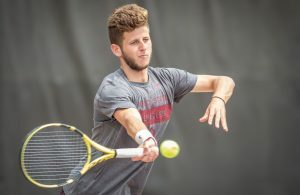 As a junior college transfer who has gotten used to playing Division I baseball, Salvatore could be a player who raises his batting average by 50 points or more in 2019.